Size: approx. 10 mm. Photo: 05/23/12, 10 pm. 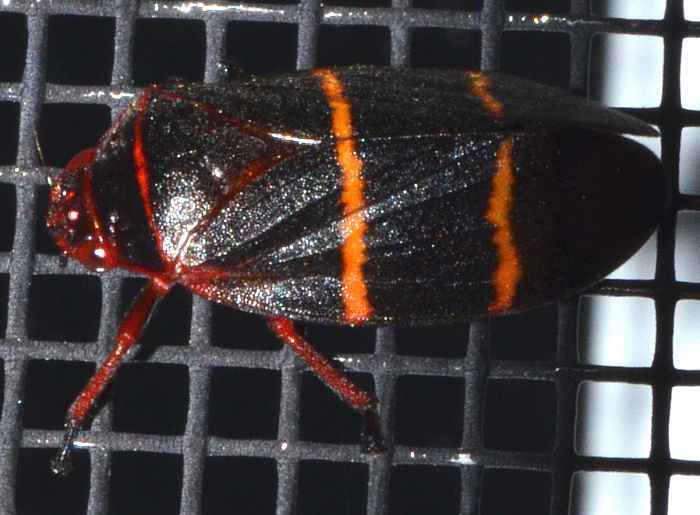 Two-Lined Spittlebugs (Prosapia bicincta) have two characteristic red or orange lines crossing their wings. Also their eyes are red. Nymphs of this species are covered by a foamy secretion product ("spittle"). They feed on grasses and possibly also corn. If threatened, adults can release a smelly substance.